As we mentioned in our analysis, horses exiting a peak effort out of Breeders’ Cup races that come back just a few weeks later often run a flat race (though Signalman the next day ran a new top). Seeking the Soul could not duplicate that BC effort and finished 3rd in this race. Our 2nd and 3rd picks, however, completed the “saver” Exacta for a return of nearly $350. Leofric fulfilled on the prediction that he was sitting on a big race 2nd off the layoff, and he was quite game in holding off the ever-present Bravazo, who once again got close but could not complete the deal. Hopefully now, D. Wayne Lukas will give this colt some well-deserved time off and bring back a fresh horse for a strong 2019 campaign. The race we were all waiting for did not disappoint as the Super Screener Top Win and Top Board Hitter pick, Signalman won this race at good odds of 7-2 with our Top Long Shot pick, Plus Que Parfait completing the Exacta at nearly 15-1. On this sloppy, sealed track, the anticipated hot and pressured pace materialized with 4 horses battling it out on the front end, including Knicks Go, who looked vulnerable here knowing he was going to be part of the pressure cooker in the early going. Signalman got the perfect rail trip (which was the place to be as is often the case when the CD surface comes up sloppy/sealed). Plus Que Parfait rallied into that blistering pace coming from near the back of the field and almost caught Signalman at the wire in an impressive finish. The payoffs in this race came back disappointingly low. Take the Exacta, for example. The standard method for determining a fair price for an Exacta is to take the win price of the winner and multiply it by the place price of the 2nd place horse. In this case, that would come out to $136 ($9.20 x $14.80) but the actual $2 Exacta payoff was “just” $97… well below fair value, especially considering that this was a 14-horse field with the favorite out of the money. The $.10 Superfecta returned just $270 and that is with Limonite finishing 3rd at 20-1. Obviously, there was a lot of “smart” money slamming the Exotics, which includes our super smart Super Screener subscribers! If you hit this race, congratulations even if the return was a bit light. A pace close to par with good pressure was projected for this race, but Liora ended up walking on the lead throughout, carving pedestrian fractions, turning this race into a 2-furlong sprint in which she had just enough to hold off a game Restless Rider by a narrow nose. Give the nod to the latter filly for submitting a better effort. However, it was the Super Screener Top Long Shot pick, High Regard, who we ranked 3rd, that perhaps was even more impressive considering she had to close from much further back against that dawdling pace to get up for third, albeit, never a threat to the top pair. Reflect threw in another clunker finishing dead last as she was pulled up again as she was in the Breeders’ Cup Juvenile Fillies. Hoping the barn puts her away for the winter. Princess Warrior, a Top Super Screener “B” horse ranked 3rd did better than that, overcoming a slow pace on the yielding turf course to snag the win at juicy odds of 11-1. She was a sure fire pick to hit the Exotics but surprised some here with getting the win. Cool Beans, as expected, set the pace and did hold on for a piece of the Exotics as predicted. The big disappointment, however, was the poor performance submitted by the Chad Brown charge, Stella di Camelot. She was in close attendance throughout but showed no late foot. We’ll be downgrading the Belmont Park turf race from which she exited as a result. This weekend we can look forward to great renewals of the G1 Cigar Mile, G3 Remsen and the G1 Hollywood Derby… not to mention the Claiming Crown at Gulfstream Park. Plenty of racing action as we get into the winter months! 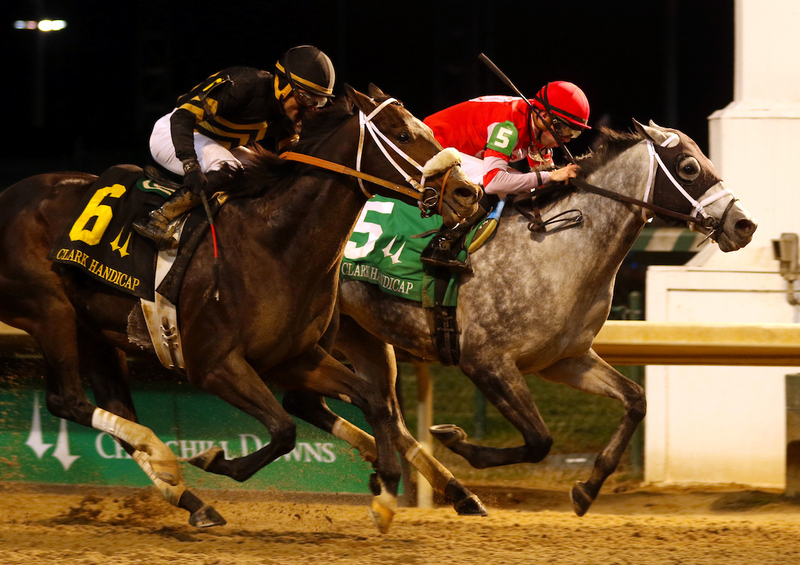 ← Previous Story Post-Breeders’ Cup Stakes Success – Recap!